Donating blood is more than just a good deed; it is an important construct of humanity to uphold. We have a duty to help each other in the world. 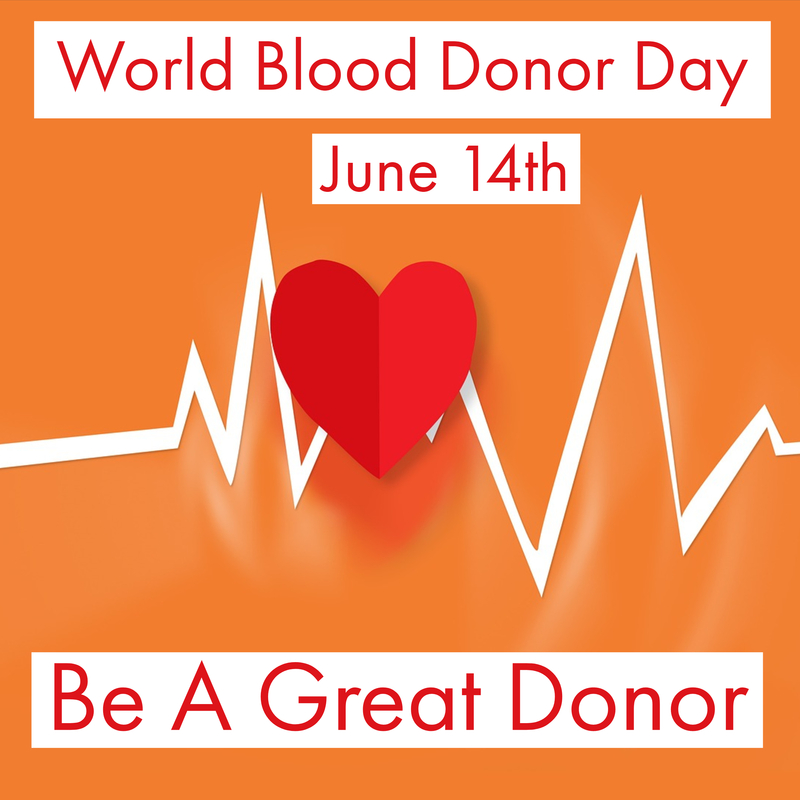 Blood donations help cancer patients young and old receive transfusions, are used in studies to help researchers, and most importantly may save someone’s life in surgical and emergency situations. Plasma donations are used in emergencies for newborns and patients needing massive transfusions. Donating blood is important to my personal life because someone’s donation saved my mom’s life when a surgeon collapsed her lung during a surgery to ease her chemotherapy treatments. – O-Negative: 7%. This blood type is the Universal Donor. It is called that, because it is compatible with all blood types and may be provided to any patient. – AB-Positive: 3%. This blood type is the Universal Recipient. AB-Positive blood type is compatible with all blood types. Both AB blood types are Universal Plasma Donors. It is very easy to find out your blood type if you are a donor. On your smartphone store there is a free app the American Red Cross provides called Blood Donor. A week after your donation the app populates your blood type, for free! You can book your appointment, learn about your blood type, and see the journey your donation takes. The app also holds your Donor Card, which is important to provide upon arrival at the donation site. ♥ Hydration is the most important! Drink lots of water, particularly if you are not already drinking the recommended amount, 1/2 – 2/3 of your body weight in ounces per day (ex: 70 oz. for a 140 lb. person). Personally, I greatly increase my water intake for the week leading up to my appointment. I like to use our homeopathic remedy from Energetix, ReHydration. It helps the body to really soak up the water instead of letting it “pass through” your system! ♥ Make sure you eat a filling, balanced meal focused around iron before your donation, i.e. red meats, beans, and dark leafy greens. In the office we carry an amazing plant-bound iron supplement from Standard Process, called Ferrofood, for individuals looking to increase their iron levels. ♥ Get some rest! Again, the suggestion is for the night before, but I take delight in preparing my body further in advance so I know I am giving my donation in the best condition possible. Plus, it is a great excuse to have some extra pamper-time! ♥ Do not take aspirin at least two days before the donation (aspirin may cause gastrointestinal bleeding). ♥ Let the center know any/all medications you take prior to donating, as well as any major health conditions and be sure to bring your Donor Card (stored on your app) and a valid driver’s license! ♥ Have someone come with you for your first donation. Some individuals have a longer recovery time than others. I am one of those people! Please be honest and open with the nurses that assist you during donation. If you have a fear of needles, even if they make you slightly uneasy, tell them! I have had great experiences with awesome nurses that literally held my hand through the donation. Being open and communicating with the nurse makes their day easier. I received extra snacks and appreciation for being brave and honest with them! If you have dietary restrictions, it is best to pack your own diet friendly snacks for after the donation. Let the nurses know so they can refrigerate if necessary! I appreciate you taking the time to read through this article and considering making a blood donation in the future. If you have more questions about navigating the app or a donation center near you feel free to reach out to me here at the office at 770-455-6767 or aly@atlantanaturalhealth.com or go to the American Red Cross website.